Decent analysis of politics, but out of touch. It not truly a representation of left, right and center. It's really a far left, standard left, and just barely right of center. Gave it shot, but it's a hard pass. Special Counsel Robert Mueller's investigation into the Trump campaign's ties to Russia has wrapped, and Attorney General William Barr's letter to Congress has been delivered. Michelle, Ross and David debate whether there really was "no collusion," if the media oversold the scandal and what should happen next. Then, is it time to abolish the Electoral College? The columnists disagree. For background reading, visit nytimes.com/theargument. For tickets to the live show, visit https://timesevents.nytimes.com/OpinionApril. Is the Green New Deal a symbol of the future of the Democratic Party, or is it just socialism disguised as climate reform? Ross Douthat and Michelle Goldberg are joined by Times editorial board member Michelle Cottle to debate the new initiative and its viability in Congress. Then, David Leonhardt asks fellow columnist Roger Cohen and Steve Hilton, the former adviser to David Cameron, what should be done about Brexit. Is anti-Zionism just another form of anti-Semitism? Michelle and special guest Bret Stephens debate liberal critiques of Israel and the future of the Israeli-Palestinian conflict. Then, is Tucker Carlson really a populist? Bret and Ross discuss what the Fox News host’s recent anti-elite turn says about the G.O.P. And finally, why David wants to make American football more Canadian. Trump's mounting legal problems have the columnists wondering if he'll finish his first term. Michelle Goldberg visualizes President Pelosi. Editorial board member Mara Gay makes Ross Douthat answer for his WASP nostalgia. And David Leonhardt recommends you go nuts (for donuts). Trump's Russia entanglement has the columnists asking, "Is the president a traitor?" Ross Douthat sits down with Lawfare's executive editor Susan Hennessey to lay out what's happening with Robert Mueller's special counsel investigation. Later, Ross remains agnostic on Trump's collusion, Michelle Goldberg says dayenu, and David Leonhardt thinks there's a path to impeachment through Mueller's report. Do Republicans have an anger problem? The columnists debate whether Trump incited the recent targeted attacks. After Michelle Goldberg reports back from the campaign trail in Georgia, they all discuss the partisan battle of the sexes: has politics become polarized by gender? Is the Republican party the party of men, and the Democratic party the party of women? With the killing of journalist Jamal Khashoggi, David Leonhardt asks guest Thomas Friedman about the strained future of U.S.-Saudi relations. Then, Michelle Goldberg, Ross Douthat and David debate whether Trump's foreign policy emboldens autocrats and threatens liberal democracy. No surprise: they disagree. But common ground is found over club soda. Did Brett Kavanaugh’s confirmation break the Supreme Court? Michelle Goldberg feels the patriarchy’s boot on her neck. David Leonhardt cautions Democrats about running on the #MeToo movement in the midterms. And Ross Douthat sings. Seriously. Coming Thursday, October 11, a new Opinion podcast from The New York Times that answers the question, "How could they possibly think that?" 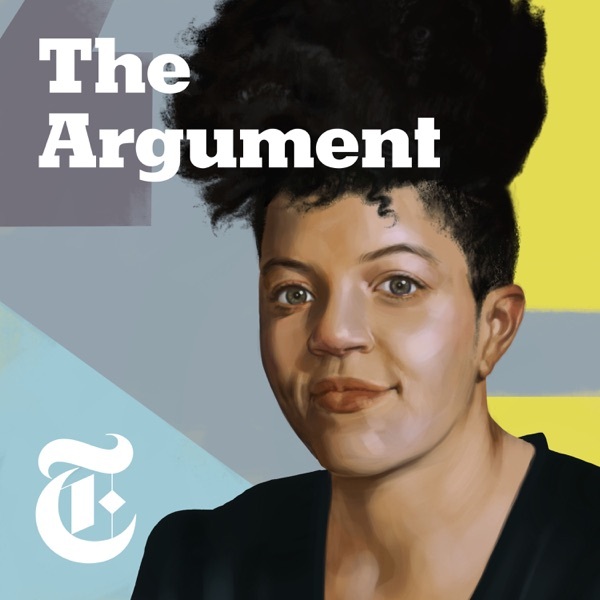 Join Opinion columnists David Leonhardt, Michelle Goldberg and Ross Douthat every Thursday as they explain the range of arguments around the week's political debate. You'll learn the why's behind party decisions and doctrine, and discover new ways to make your argument appeal to people who see the world differently.